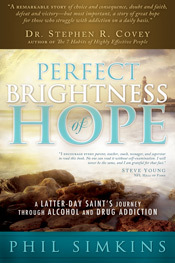 Welcome to the website of author Phil Simkins and the book Perfect Brightness of Hope. Phil was a loving family man, successful in his work and active in his church. He taught seminary and even religion classes at BYU. Then, he lost everything. His powerful story will lead you through the havoc of addiction to the path of recovery. Learn first hand how to escape the endless loop of relapse and remorse in this profound life-changing book. An inspiring must-read! Namaste: As a test of how these two greetings differ, the handshake and a simple bow repeating the word, “Namaste,” imagine you are magically confronted with The Divine. The Almighty walks up to you on the street. What do you do? Reach out to shake His hand? Probably not. Though suitable between man and man, it is an unseemly expression between a man and a God. We never shake hands with God. I mean, what if your palms are sweating? So you “namaste” instead. The reason it feels natural to namaste before God is that it is, in its very essence, a spiritual gesture, not a worldly one. By a handshake we acknowledge our equality with others. We reveal our humanity. We convey how strong we are, how nervous, how aggressive or passive. There is bold physicality to it. For these and other reasons, Popes never shake hands. Kings never shake hands. Even mothers don’t shake hands with their own children. Think how efficient of a gesture Namaste is in an age of mass communication. A politician, or performer can greet fifty thousand people with a single Namaste, and the fifty thousand people can return the honor instantly. In such a situation a handshake is unthinkable and a mere waving of one’s hand is somehow frivolous. 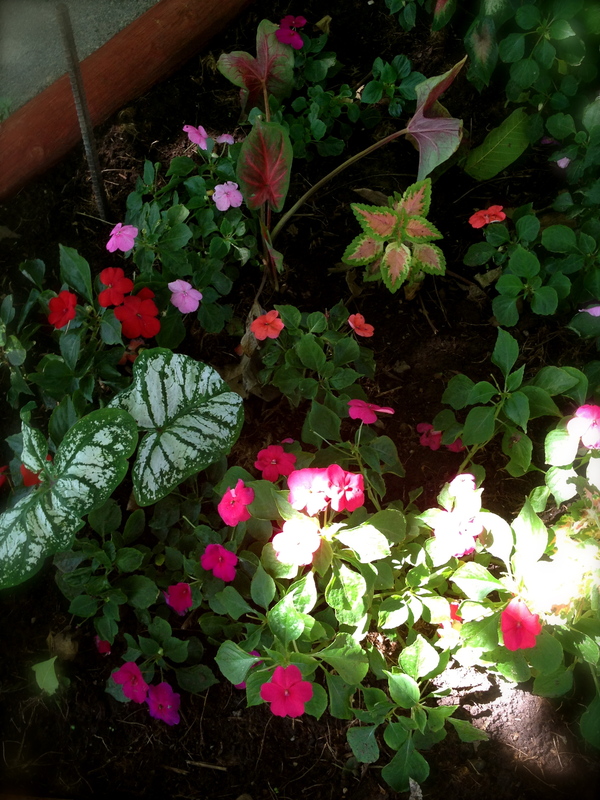 This morning I was listening to an essay on the 45th Verse of the Tao Te Ching by Wayne Dyer. A poem by Meister Eckhart was quoted on this “man-God” subject: “Every object, every creature, every man, woman and child has a soul and it is the destiny of all, to see as God sees, to know as God knows, to feel as God feels, to Be as God Is.” (Change Your Thoughts Change Your Mind, pg 221). For a few of Brother Cowley’s wonderful speeches given about AA and to “the AA” as he called it, refer to my appendices II, Understand the Less Fortunate, in Perfect Brightness of Hope, pages 219-228. On a daily basis, I review a “Thought,” “Meditation,” and “Prayer” for the day provided in a small book entitled 24 Hours A Day (Daily Readings for Alcoholics. Available on Amazon and other book stores.) 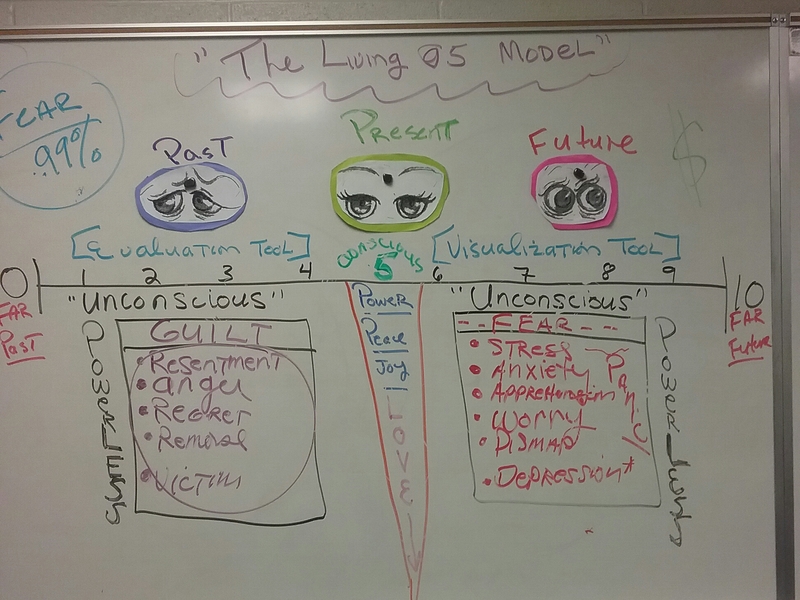 In my course, Living @5, I review The Meditations for July 29, 30, and 31st as support to the Living @5 Model. This model is provided by a simple photo I took yesterday of my whiteboard presentation. Spend a moment thinking about this simple concept. I offer them to you with love. July 29: There are two days in every week about which we should not worry; two days which should be kept free from fear and apprehension. One of these days is Yesterday, with its mistakes and cares, its faults and blunders, its aches and pains. Yesterday has passed forever beyond our control. All the money in the world cannot bring back yesterday. We cannot undo a single act we performed: we cannot erase a single word said–Yesterday is Gone! July 30: The other day we should not worry about is Tomorrow with its possible burdens, its large promise and poor performance. Tomorrow is also beyond our immediate control. Tomorrow’s sun will rise, either in splendor or behind a mask of clouds–but it will rise. Until it does, we have no stake in tomorrow, for it is yet unborn . Those who see, take off their shoes, While the remainder sit and eat blackberries.